The Scottish Premier League's independent commission tasked with assessing Rangers players' contracts has finished its three-day hearing. 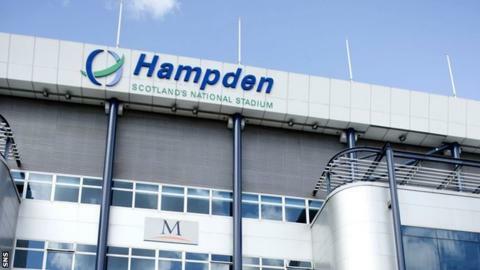 The commission will decide if the company that formerly ran the club broke Scottish Premier League rules. Rangers' use of employee benefit trusts between 2000 and 2011 is the focus of the enquiry. In a statement, the SPL said the three-man panel "will issue a full written decision in due course". A league spokesman said: "The Independent Commission chaired by Rt Hon Lord Nimmo Smith, sitting with Nicholas Stewart QC and Charles Flint QC, to determine issues concerning EBT payments and arrangements at RFC 2012 PLC (in liquidation) (formerly The Rangers Football Club Plc) ("Oldco") and Rangers Football Club, heard evidence and submissions at a hearing on 29, 30 & 31 January 2013. "Parties before the commission were: The Scottish Premier League Limited, represented by Mr. Rod McKenzie of Harper MacLeod; and Oldco, represented by Mr. James Mure QC, instructed by Mr Michael McLaughlin of DWF Biggart Baillie. "Mr Mure QC also on 31 January represented Rangers Football Club and The Rangers Football Club Ltd ("Newco") in regard to submissions on any possible sanction which might apply in the event that any breach was established. "The Commission has reserved judgement and will issue a full written decision in due course. "Until that decision is issued no further comment will be made."